How can you not love this railroad? 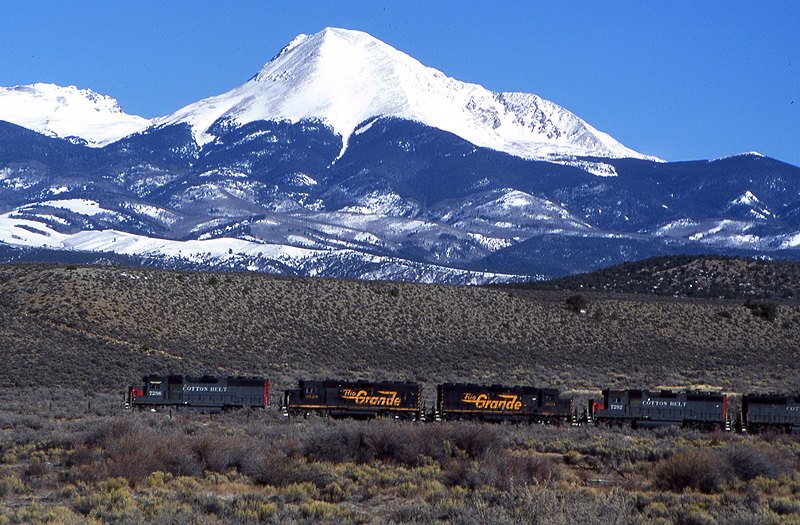 Anyone who reads Rails West knows I love the Southern Pacific, Rio Grande and Santa Fe. However, there are a number of other railroads of which I am a big fan as well. This post is dedicated to the Western Pacific. 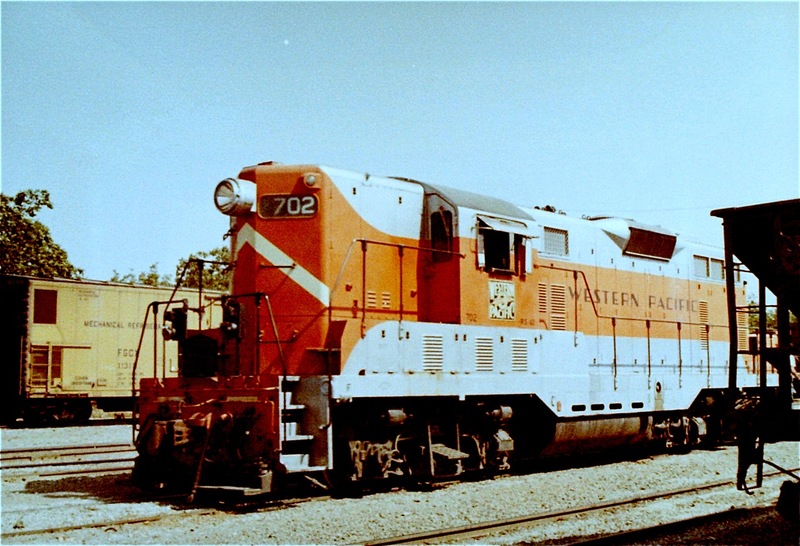 I will share some photos a friend of mine took in California in 1968 and one after the merger in 1984. This photos have been secured in his archives for many years. But first, why do I like the Western Pacific? 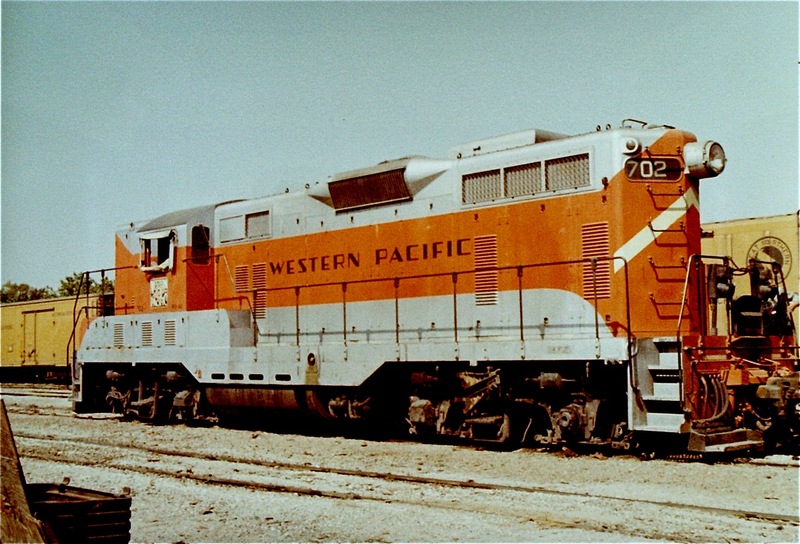 Growing up in Houston–hot, muggy, very leafy and a little crowded–I fell in love with the Western Pacific upon seeing a photo of a very lonely WP locomotive on the Reno, NV branch carrying a few cars and a caboose in Trains Magazine in the mid-1970s. 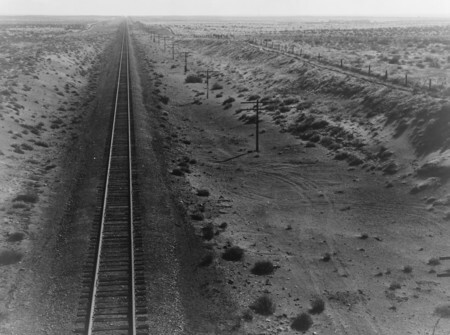 I developed an almost “romantic” fascination with a railroad that ran through such desolate and lonely country. 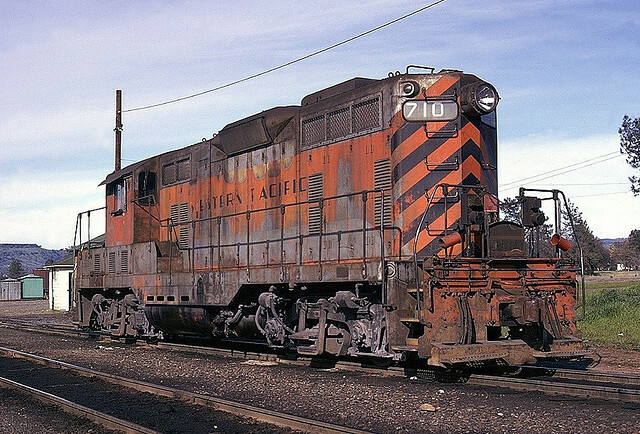 To a kid in Houston, the thought there were such wide open spaces with beautiful orange and silver locomotives was really almost overwhelming. It was love at first sight. This is as close as I can find to my recollection of the WP locomotive crossing the big, lonely country of the Reno branch. What a great railroad running through some incredible country! It will always be one of my favorites. Last week, I shared the new track plan. Click here to see the track plan. (1) I don’t like wiring, and I want to make sure the layout is fun, practical and interesting to operate before I drill any holes, solder any wire. (2) I have a thousand other interests–family, spiritual life, exercise, blogging, reading (reading a great book on Ethiopia right now), hiking, golf, watching baseball and football, work and writing on my novel (expected publishing date in 2015) . That all said (or written), here is the layout with the proposed track plan in place. It is not wired and please forgive the un-weathered rolling stock. Only the cars from a previous layout are weathered. 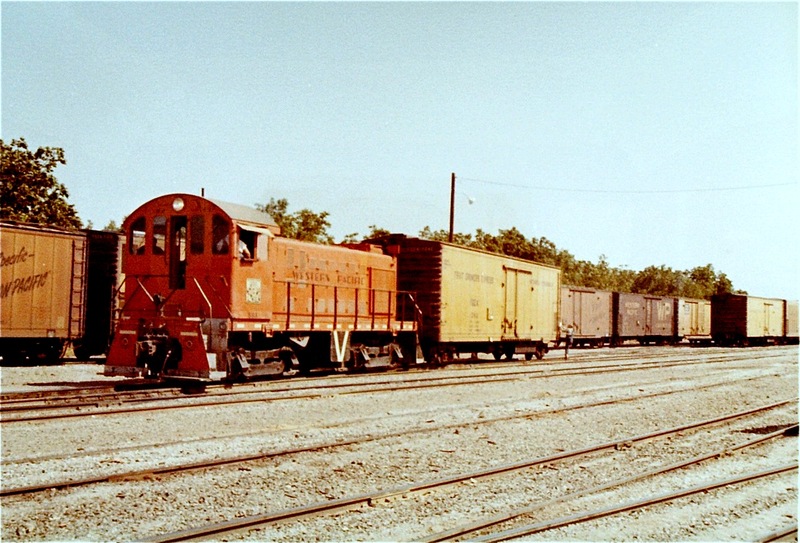 Though the layout is targeting operations on the DRGW-SP (a couple of years after the UP takeover) around 1998, cabooses will be used from time-to-time. I am a sucker for cabooses! Home road cars will feature cars from the SP and DRGW as well as the UP and associated railroads–MP, WP, CNW and MKT. The first post will give the big picture. The second post will further discuss the industries and operation. Far to the left almost out of sight, is the main train getting ready to enter the principal town. The train is coming “on-stage.” It is kind of a short one today, especially with the wheat elevator running low and not needing a cut of cars today. It is getting towards the end of wheat season, but another cut or two of covered hoppers will likely be delivered before the season is done. A couple of weeks ago, the tracks all over town were filled with covered hoppers. Once the wheat season is over, only occasional shipments of feed or fertilizer will come in in bags (boxcars) or covered hoppers.. The train arrives in town. The switching will soon begin after the crew takes lunch at Garcia’s cafe. Continuing to the southwest, on the outskirts of town, we can now see the perlite loading facility. (There are two covered hoppers spotted there.) It is normally good for two or three covered hoppers. Looking to the end of the layout to the southwest, we see the scoria loading site and in the distance, the short line is coming on-stage. The scoria shipper typically loads the black variety of scoria. The short line mostly serves a sawmill that is up in the foothills. 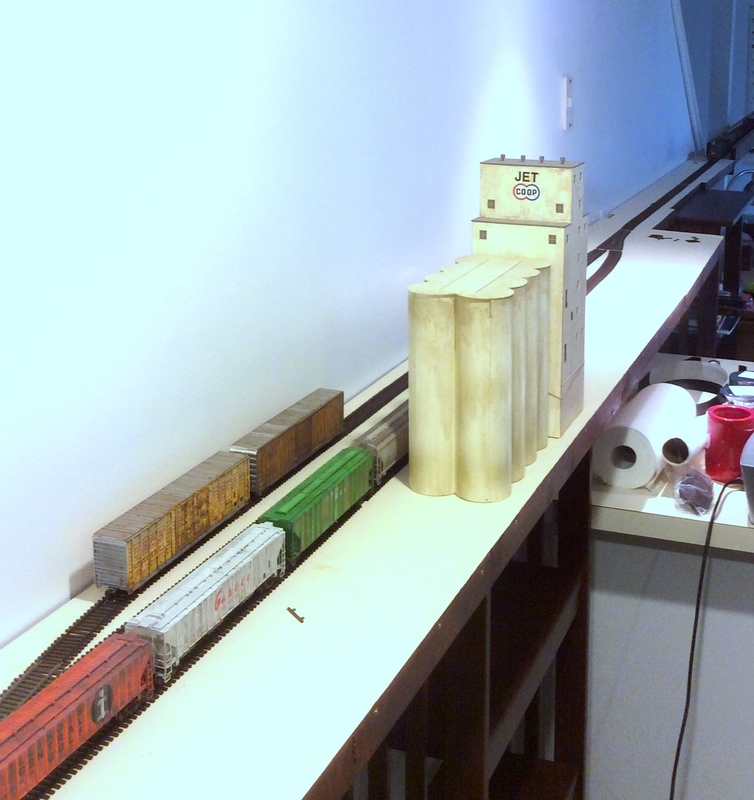 The short line coming on-stage–it ships a lot of lumber and woodchips. 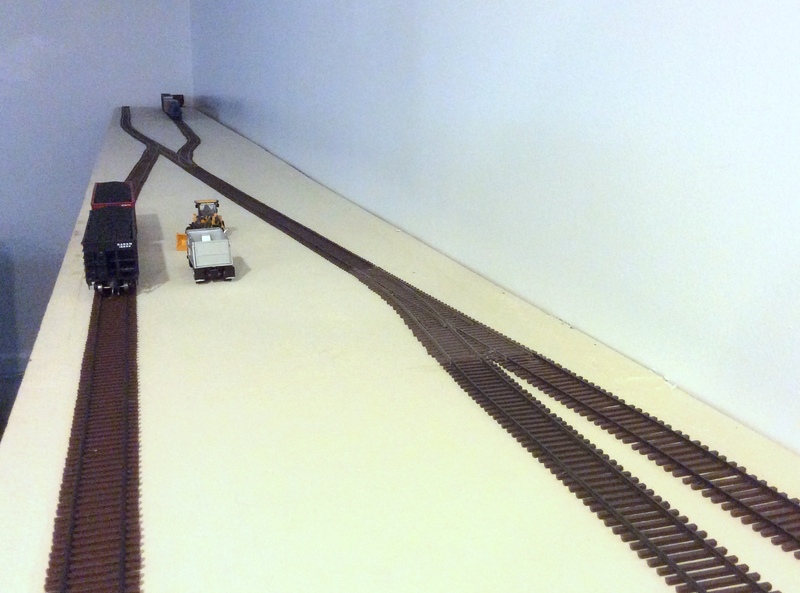 The track in the foreground is the end of the SP-DRGW mainline. 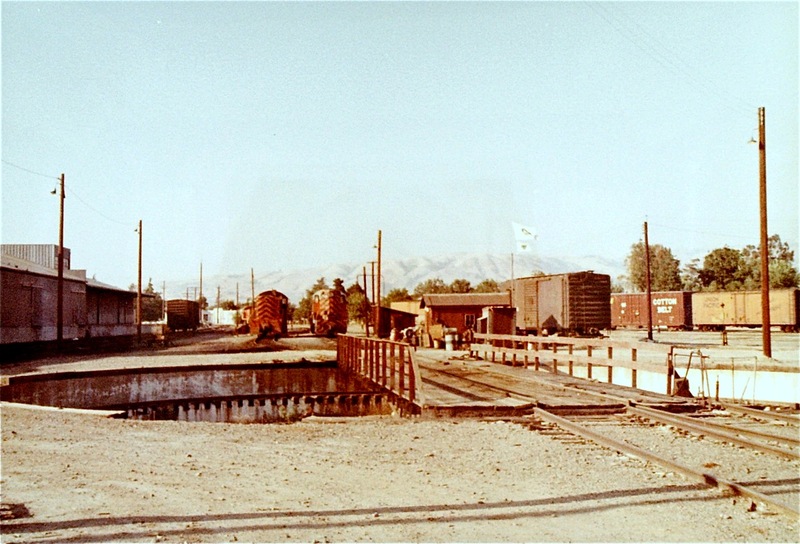 It did go miles more to the the southwest, but service was cutback to the present location in the 1960s. The next post will discuss the proposed industries and provide more details on the operations. On February 15, 2015, I wrote a post on one of my favorite beers–Ballantine IPA. To see the post, click here. 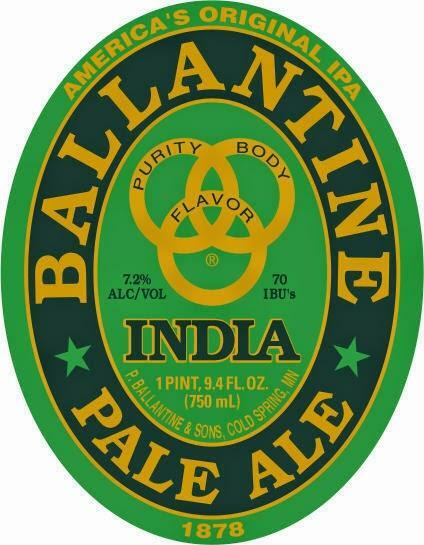 Ballantine IPA should be called the “Father of the American IPA.” It was first brewed in 1878. It was likely the first American IPA produced in any quantities. Before there was Sierra Nevada, before there was Lagunitas, before there was Dominion’s Double D (some of my favorites), there was Ballantine’s IPA! 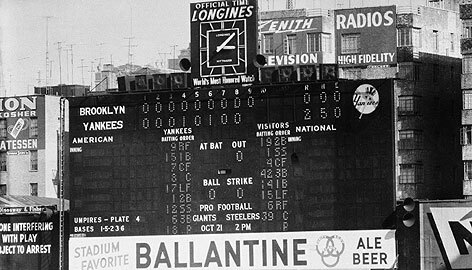 Sadly, it began to disappear in the 1960s, but not before it left its mark. The good news is that Pabst has brought it back. Pabst did it the right way and have restored an outstanding product to the American beer market! See the reviews on Beer Advocate here. 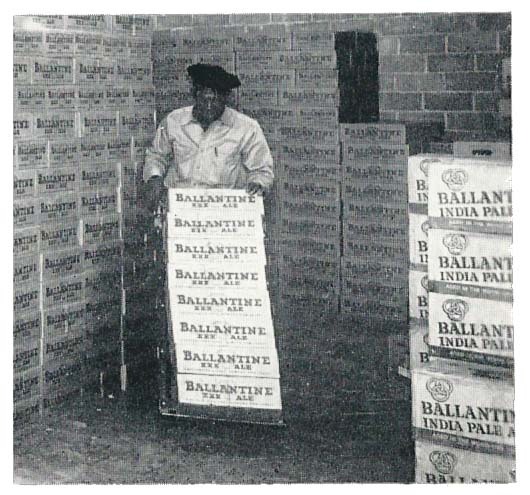 Click here to see a nice 9:35 minute video on the story of Ballantine. 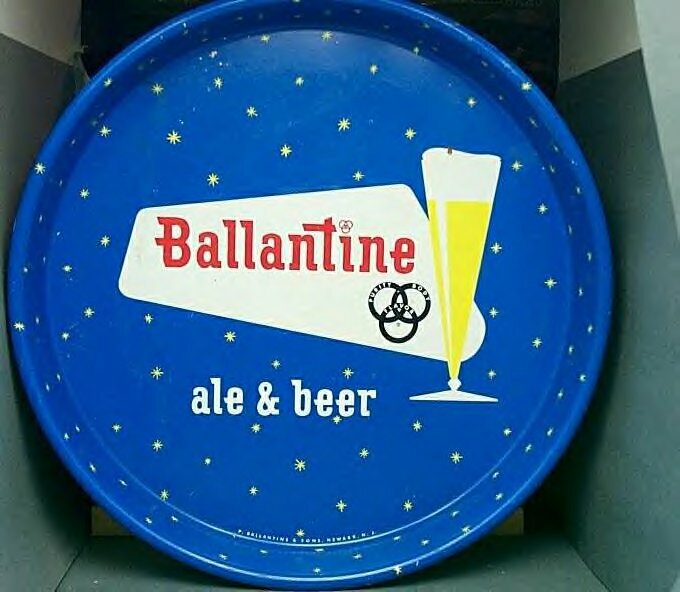 It interviews the Brewmaster, Greg Duehs, who re-created the recipe and a lovable “old-timer” who remembers Ballantine well. It is worth a watch. Just one warning — You might get mighty thirsty for a Ballantine IPA. 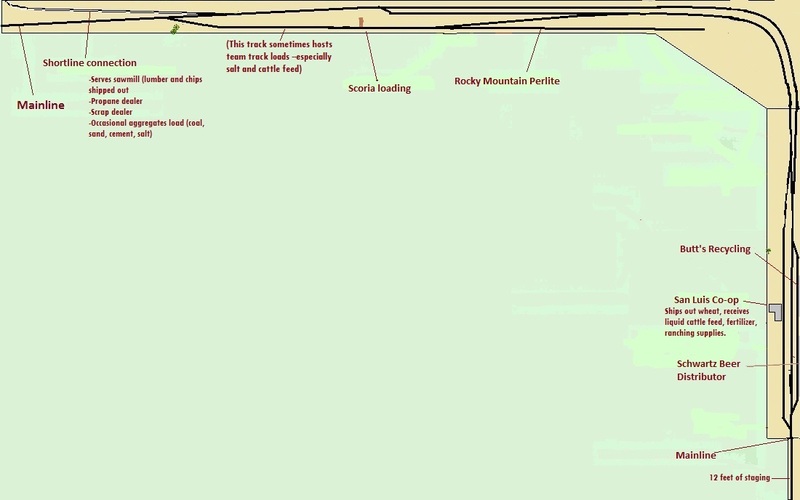 The ATSF in Roswell layout has been heavily revised. 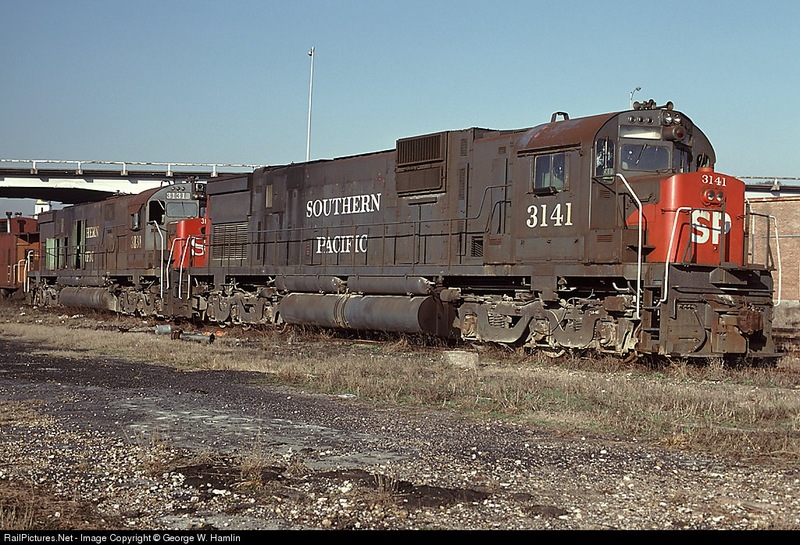 I love the Santa Fe and hope to occasionally run a little ATSF action, but I recently had an epiphany. SP-DRGW action near Trinchera Ranch Road, Colorado 2003 –©photo by James Griffin. This epiphany led to a significant change in the layout. 6. Pursuit of a less complex but more diverse operating scenarios. I guess I had signaled the change in recent blog posts. Here are some iconic photos (to me) prompting the shift. 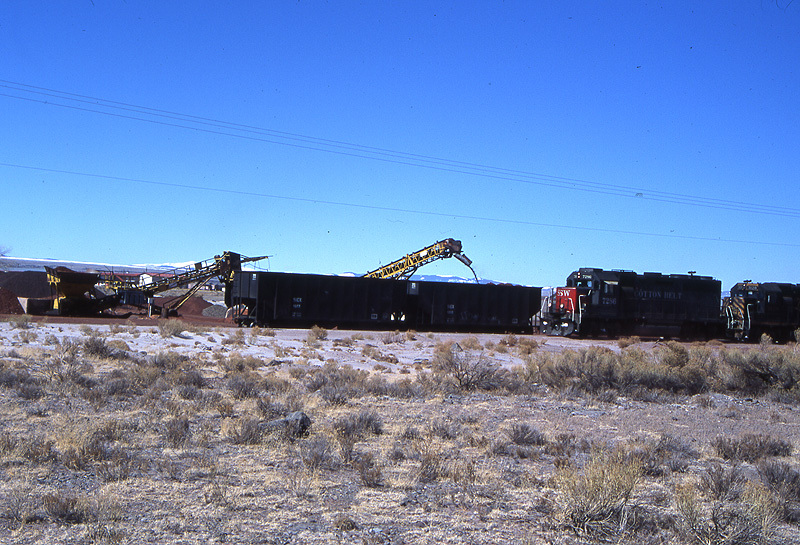 Scoria loading into open hoppers south of Antonito, Colorado. Note SP (SSW) and DRGW locmotives. –©photo by James Griffin. Below is why these images are iconic to me. I grew up in Houston, TX in the 1970s and 80s. 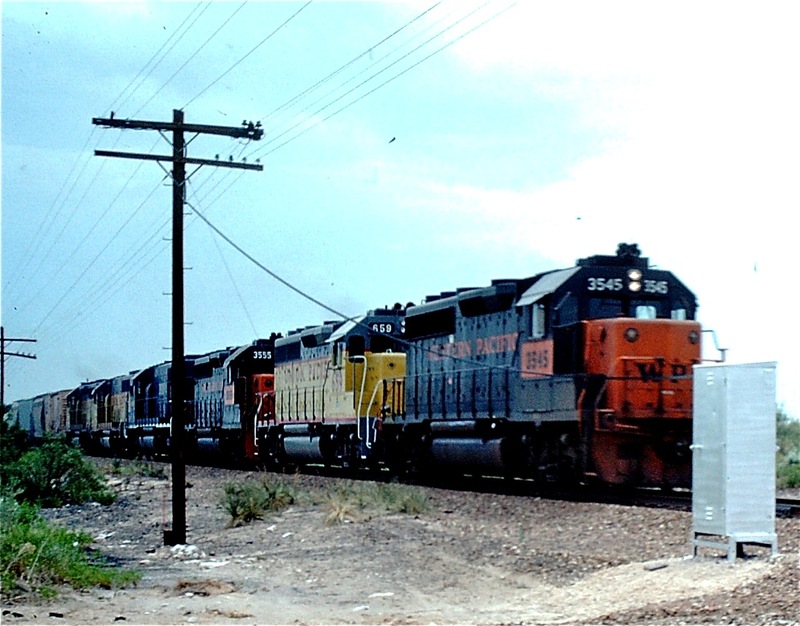 There were Southern Pacific and Missouri Pacific and Missouri-Kansas-Texas rail lines near my house. I would hear their horns whenever I was outside playing baseball, football or yard golf, which was most of the time! (It was before computers.) I would visit a number of places around town that featured Santa Fe, Rock Island, Burlington Northern and Houston, Belt and Terminal action. I had a GREAT railroad childhood. 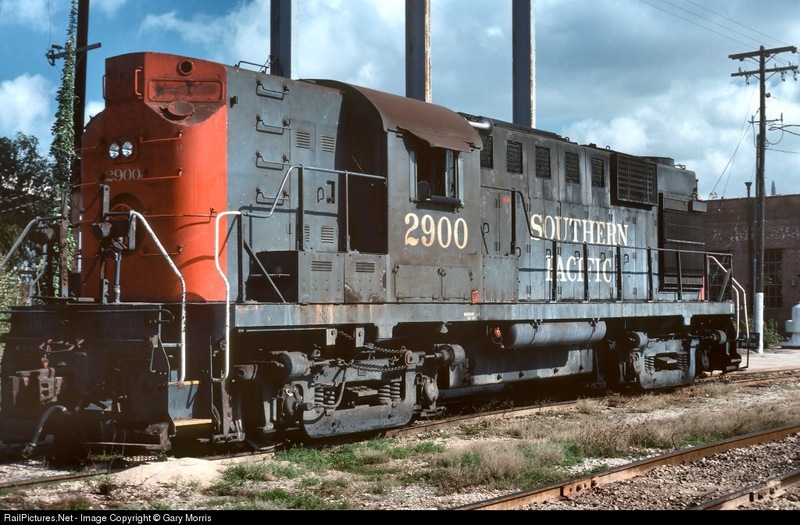 Later in life in New Mexico and other parts of Texas I would frequently see Southern Pacific and Santa Fe action in the 1990s. I saw the tail end of the Alcos in Houston as a kid. 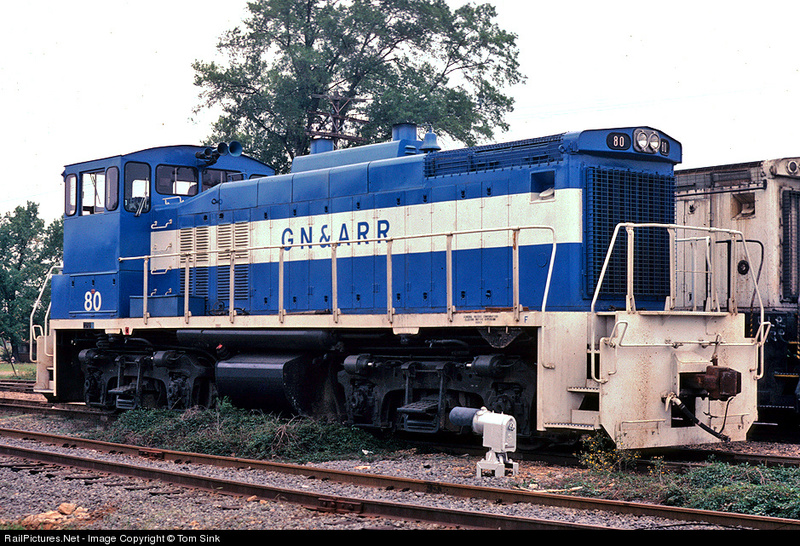 I distinctly recall seeing an RS-11 servicing the line near my house about 1975. 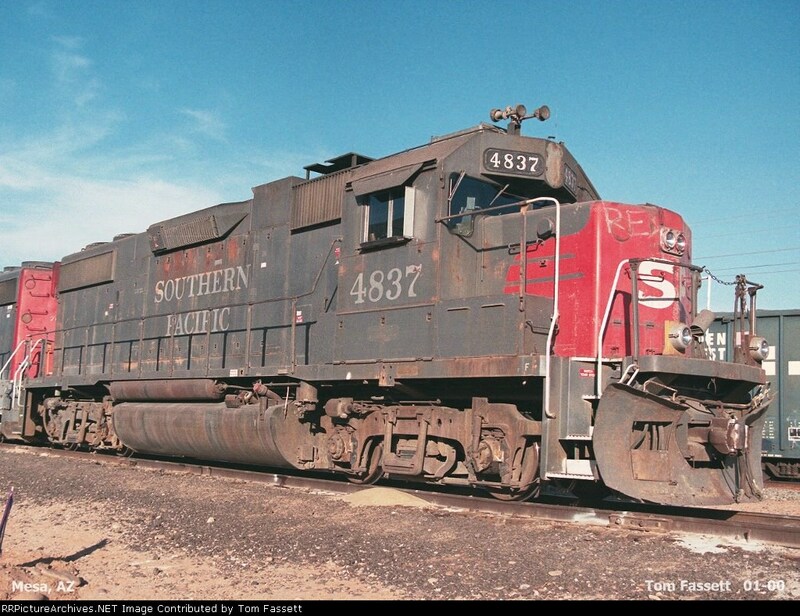 The Southern Pacific was almost always near most of my life. As I looked at photos to help design the ATSF in Roswell layout, I stumbled upon a few photos of the SP, DRGW and Union Railway of Oregon. I realized that if I modeled a generic western setting in the late 1990s, I could pull many of these special railroads and even a shortline operation onto my layout. 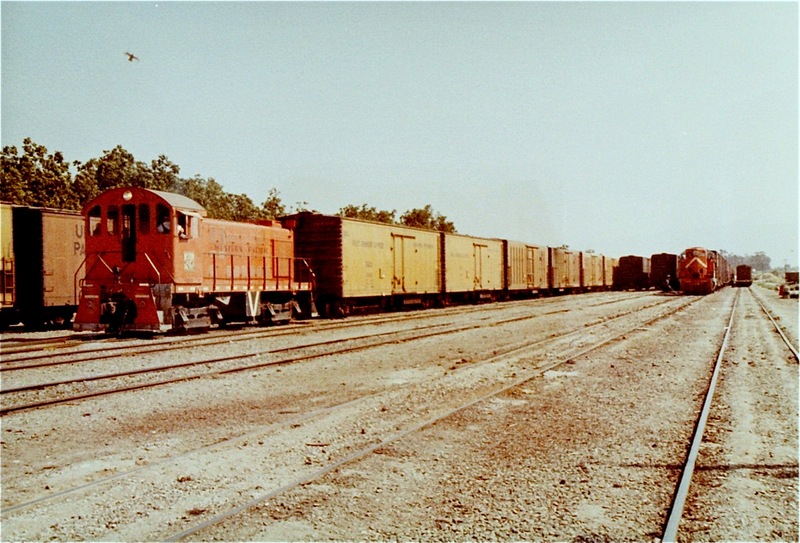 For many years, upon their merger in 1986, the SP and DRGW railroads used each others equipment throughout their respective systems. 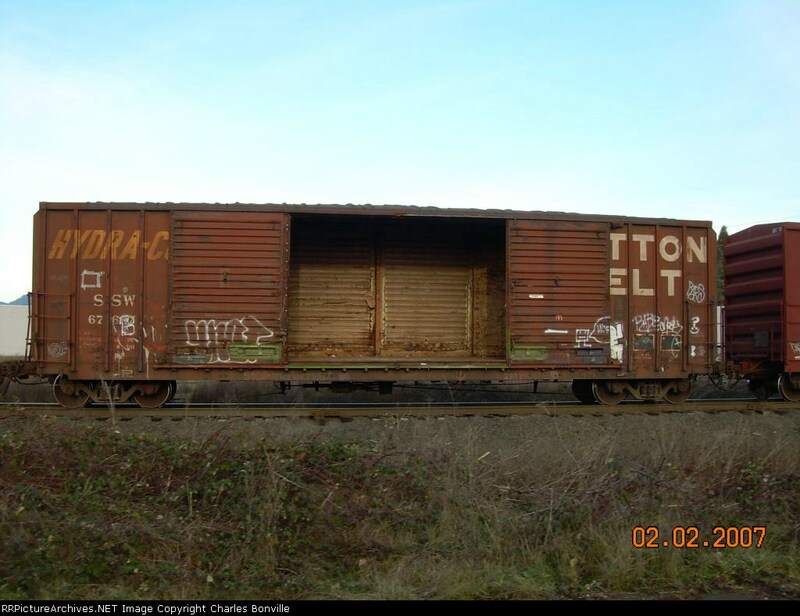 By modelling the late 1990s (after the Union Pacific acquisition), you could have the bonus of “home road” freight cars from the Union Pacific, Western Pacific, Cotton Belt, Missouri Pacific, Missouri-Kansas-Texas and Chicago and Northwestern. That means it is entirely plausible for empties to be spotted with any of the above reporting marks plus SP and DRGW! 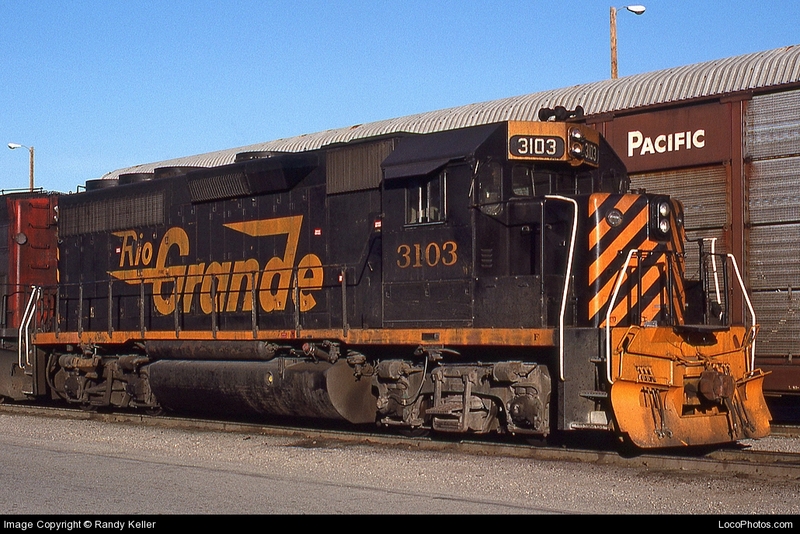 You still see many of these reporting marks on Union Pacific trains across the country. Along with the addition of a short line which will also likely switch the scoria and perlite operations (as well as serving a number of industries off the layout), I wanted to insert a few turnouts to simplify operations and avoid a few painful bottlenecks. The off layout industries give you the option of running occasional “oddball” loads, such as scrap metal, sand or anything you’d see at a team track. 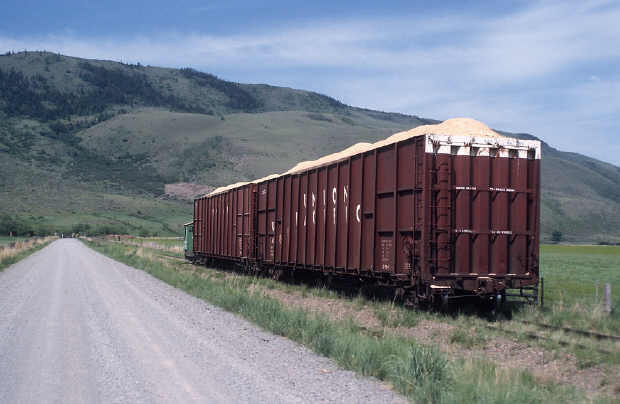 I see wood products as the primary loads–wood chip cars, loaded flats and lumber boxcars. The track is now in place along with an extension that will serve as the “off-stage” staging track. 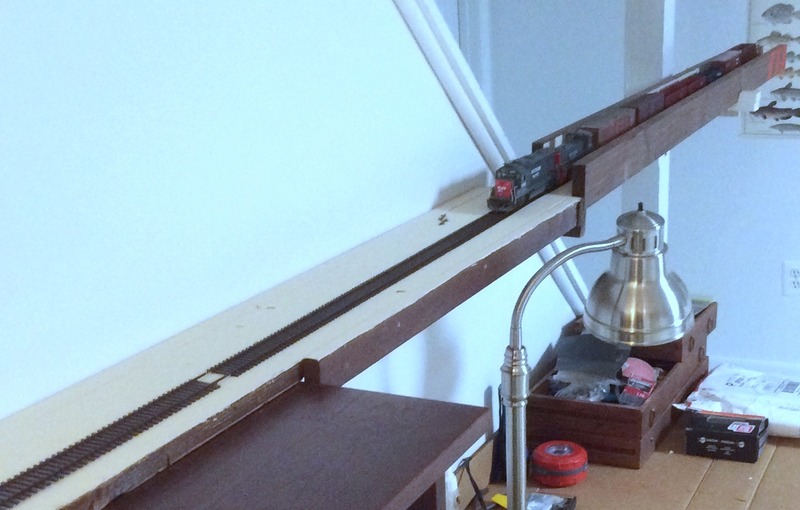 In Part II of this post, I will share photos of the new track configuration on the layout. 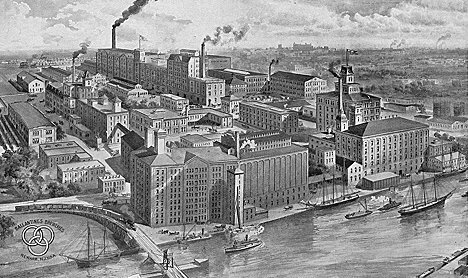 In 1840, Peter Ballantine, a Scottish immigrant, opened a brewery in Newark, NJ and incorporated it as the Patterson and Ballantine Brewing Company. His three sons joined the operation, and it is renamed P. Ballantine and Sons, a name it held until the brewery closed in 1972. In 1878, an IPA is added to the company’s line of products. It is groundbreaking in the US as it was brewed according to the traditional “Burton” method dating back to the English IPAs of the early 1800s. It featured a very pale malt, high hopping rates and an extended period of aging in wood casks. After the ridiculous period we know as prohibition was over, the brewery is purchased by the Badenhausen brothers and they brought in a new Scottish brewmaster, Archiblad MacKechnie. 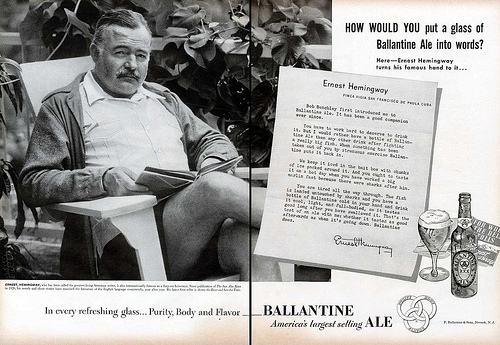 The pre-prohibition tradition continued in the production of Ballantine as an American original. 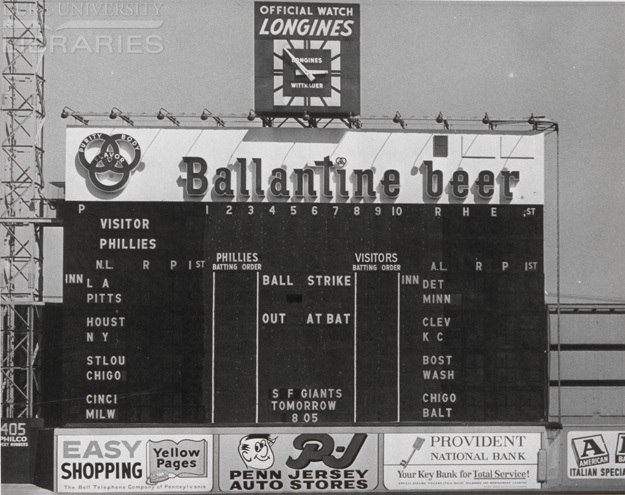 Ballantine sales grew and it became the sponsoring beer of the Philadelphia Phillies and New York Yankees. For a time in the 1950s, it was America’s third largest brewery. Many iconic Americans pitched its products. 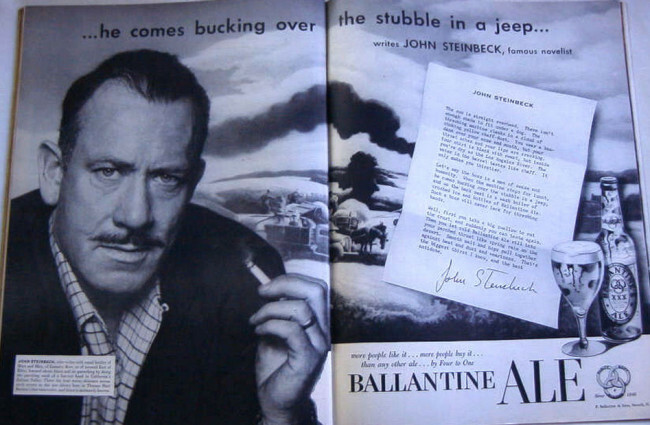 Sadly, Ballantine entered the wilderness in the 1960s as other breweries started to capture its market share. Clever advertising began to trump quality. Eventually, the brewery was closed (It should have been a national day of mourning really!) and the brands are sold to Falstaff. Its production was moved to Rhode Island and the recipe was screwed up and outsourced to contract brewers. 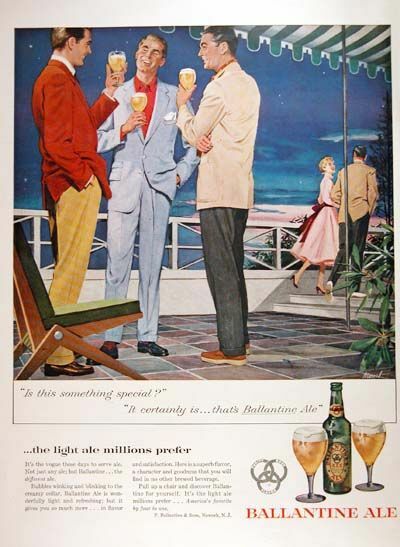 An outstanding American beer, Ballantine’s IPA was dead. But the story doesn’t end here. It gets happier. In 1985, Falstaff merges with Pabst. Thus beginning a long tortured path back to production and its former greatness. Thank goodness for Pabst brew master, Greg Deuhs. 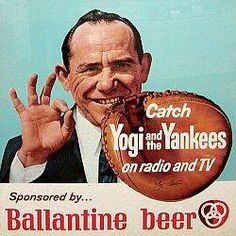 Knowing a national treasure had been lost, he began experimenting with recreating the Ballantine’s IPA in his home in Milwaukee. The original recipe had been lost during all the mergers, etc., but Greg worked hard to recreate the magical brew. 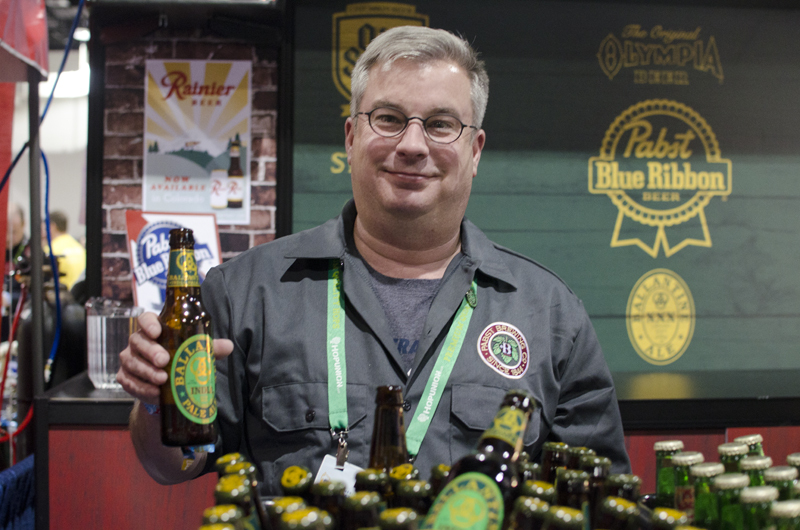 He interviewed people and pieced together the remaining information to guide the re-creation of Ballantine IPA. 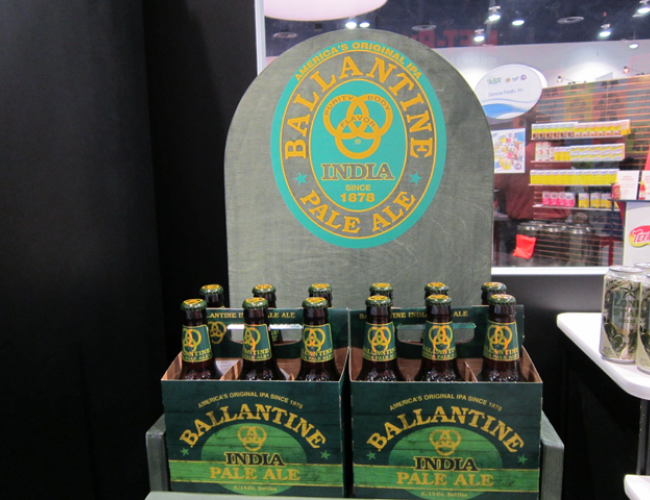 I am happy to say, the new Ballantine IPA is now available on the East Coast. It is an outstanding brew. It is currently brewed in Cold Spring, Minnesota. Click here and here for more on the “re-creation” story. It is pretty fascinating. This being a “rail-centric” blog site, I wish I could report that railroads were employed to help make or distribute this fine product. There is a rail line near the brewery, but I cannot see anything that indicates the line is used by the brewery. Perhaps a load makes it into a container hauled by rail from time to time. Today, there are many great IPAs prodcued in America. This site has discussed a number of them. However, this IPA was being produced for about a century before today’s IPA craze. 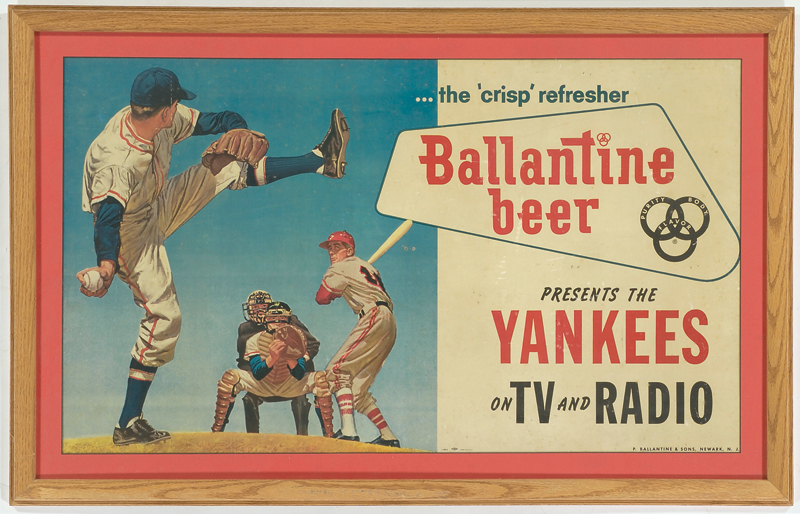 There is something about today’s Ballantine IPA that is distinctive even now. Some say it is the hop oil. Whatever it is, if you can find it, try it! Let’s not lose it this time. I love seeing this part of our heritage come back! Thank you Pabst and Greg Deuhs for making it happen.